Months back I started looking at the next F1 game. As some of you know I’m a big fan of F1 and F1 games. F106 was a big step forward over F105. I still consider F197 in terms of gameplay and everything you could do as a driver to be the best game released. It will be released on PS3, Xbox 360 and Wii. From wikipedia and following the codemasters forum. When the rain stops, a “drying line” will start to appear which will provide more grip which will make it easier to drive. If car goes off the dry line, the tires will lose grip and it will be harder to drive. 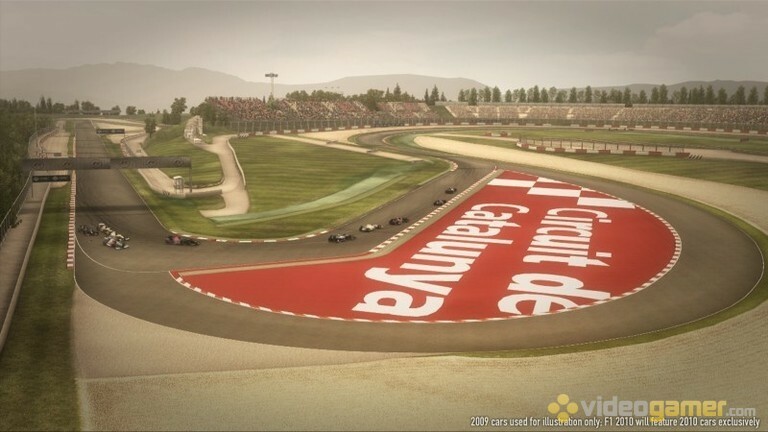 Evolving track will also be featured elsewhere in the game; at the start of a race weekend, the track will be “green” and therefore have less grip, but as the weekend progresses, rubber will be laid down onto the track increasing the grip. presume when it rains the track will lose all rubber laid down too. The game will feature a career mode consisting of either 3, 5 or 7 seasons (it is up to you). Where players can drive for any team, each having their own objectives – “For example, race for Ferrari and anything other than winning the Driver’s and Constructor’s Championship would be a failure, while a mere points finish when driving for Lotus would be a huge success.” Media interest will also differ depending on whether the player is racing for one of the top teams, or a team at the back of the grid. Impromptu interviews will take place alongside the official interviews following each race. The fact I can now do 7 seasons without being dropped by my team at the end of 5 (no matter how many championships I won in F106) is much better. I want to go through what its like to be a real driver. I would expect goals such as winning the championship in a Ferrari to exist. The media aspect is a new thing. The fact we can manage our lives with the media is going to be interesting. 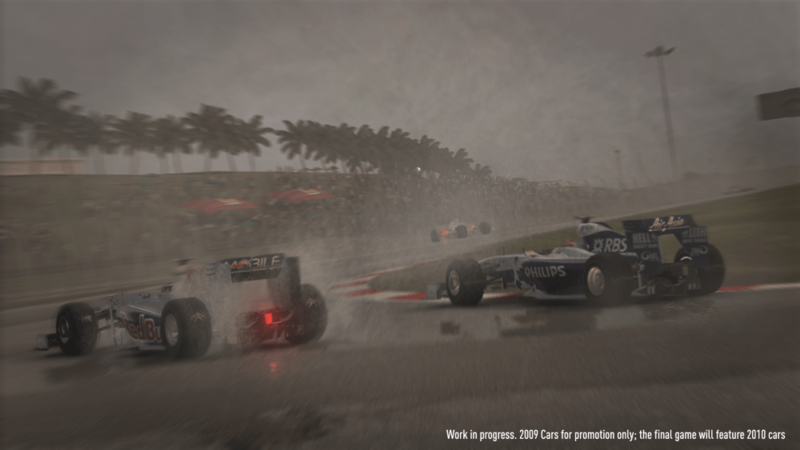 Research will also feature in F1 2010. Consistently out-race their teammate, and the player will receive new parts, updates and upgrades as they’re developed. Their team will develop new parts or updates for their car throughout the season, evolving the car as the season goes on. This and the eight engines per season rule being implemented will make it very interesting. Meaning you have to look after your engines. Turn them down at various points in the weekend to make them last or you risk taking grid penalties towards the end of the season!! There will be no safety car or formation lap and races will never be red-flagged, but all the other flags will be included. Safety car, formation lap and no red flags are no biggie for 2010. Maybe it can work its way to 2011 perhaps? I’ve included some screenies for you all to see! It’s gonna take me a few testing laps to get used to! Hey friend Appreciate spreading this information around. Typically i would not discuss Blogs. But i such as this one. If only much more content articles and also written content online could be as much as useful and educational compared to this one. Terrific write-up, appreciate it Best wishes. 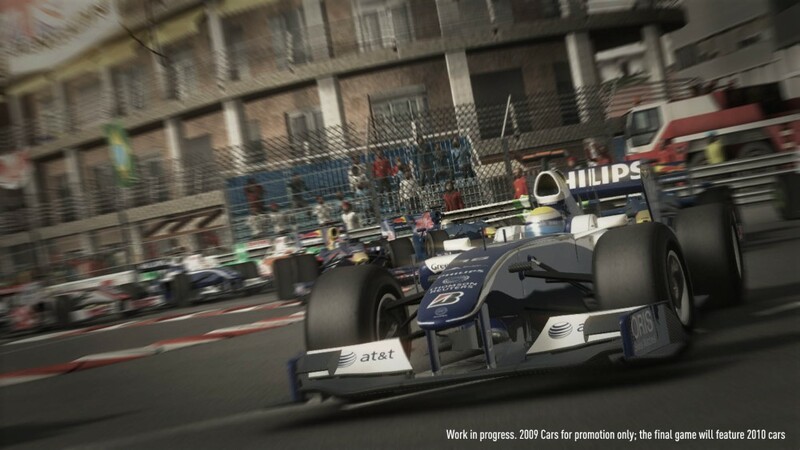 Back then it was about time for the new official Formula One game to be released. I remember how anxious I was in 2009 when the game should already be released. Nowadays I’m quite happy with the series as it seems that its getting better and better. Just out of interest. 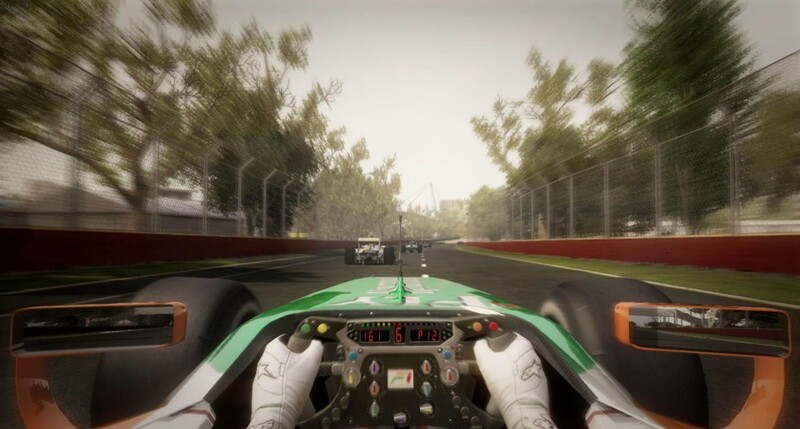 What do you think of F12014? I think they should not have pulled the classics (where you could drive the classic cars and tracks) and they also pulled the champions challenge. I quite liked that! @TristanHotham Thank you 👍🏼 hows things going? Did you enjoy the conference?